Meet Dayton Duncan, award-winning writer, documentary filmmaker and longtime co-producer and consultant of Ken Burns’ films, Saturday April 16 at 3pm, in the Oklahoma City Museum of Art’s Noble Theater. Get tickets now. This special event features Dayton’s compelling insight on his work with Burns, including THE DUST BOWL, JAZZ, THE WAR, BASEBALL and THE NATIONAL PARKS: AMERICA’S BEST IDEA, which returns to OETA this month. OETA recently spoke with Dayton Duncan about his upcoming visit to Oklahoma, the Ken Burns/Florentine Films project pipeline and his perspective on the impact of his life's work. You have collaborated on a number of projects with Ken Burns, including The Dust Bowl (2012). It was a huge success across the country and a story that even a great number of people in Oklahoma were previously unaware of. What inspired you to explore this time in our history and what surprised you most about our great state? Back in 1990, I wrote a book called “Miles from Nowhere” about the most sparsely settled counties in the United States, those that had under two people per square mile. In my research for that, I visited the extreme panhandle of Oklahoma and [adjacent areas] where I came across people who had lived through the dust bowl. I grew up in Iowa. My Mom was a farm girl and she told me stories about the both the depression and the drought that they experienced during the 1930s, but those were nothing compared to the stories I heard from people at the epicenter of the dust bowl. I wrote a little bit about it in my book, but I keep a list of ideas that are worth re-visiting and when I started making films with Ken, that was one that I thought would make a very powerful film. Particularly, I thought if we could include in it, not just the historical story, which is dramatic and important, but the first-hand accounts of those who lived through it… but other projects came up before that and when we finished the film about the National Parks, I told him that if we were going to do The Dust Bowl, it was now or never [to feature the first-hand survivors’ stories]. I’m very glad that we did. Even by the time the film came out, roughly four or five of the two dozen in the film had passed away, and several have since then. What surprised you most about Oklahoma? I have always been drawn to the starkness of the Great Plains, out there in the panhandle that’s certainly one of those places. Different people respond differently to different landscapes, but for me, the Great Plains has always been like the tuning fork of my inner spirit. I think the surprising thing for me in making “The Dust Bowl” was getting to meet these people for whom this great environmental cataclysm was as vivid for them in their late 80s and 90s was it was when they were little kids in the 1920s and 1930s. You and your team produce most of the interviews for the projects you work on with Ken. Who are your most memorable interviews? It’s like asking someone to pick their favorite child! I would say that when we were doing National Parks, an interview that we did with an African American Park Ranger named Shelton Johnson, who ended up being in every episode, was one of the great interviews that we have done. We began by talking about the African American soldiers who were the first protectors of Yosemite, but we quickly realized we were talking with a modern-day John Muir [ED NOTE: Muir founded the Sierra Club and advocated for nature in his written work] because of his incredible passion and eloquence regarding the National Parks. That was the top of the list on National Parks. With “The Dust Bowl”, there were just so many great ones… out there in the Boise City area, Don Wells, who grew up beyond poor, had incredible stories to tell. Another woman, Ina Labrier, she only appears briefly in our film, but she was such a great spirit. She had been a schoolteacher during the dust bowl, paid with IOUs instead of actual cash. There were just so many great people. Dayton, you have such a diverse resume - you also served on the Board of Directors the National Parks Foundation. How did that experience influence and inspire your approach to the National Parks film? I’m a very big believer in national parks. From the time my parents took my big sister and me when I was nine years old to a string of national parks on our first vacation, it opened my eyes to places where history was actually made... I didn’t come back from that vacation almost 60 years ago thinking “I know what I’m going to do with my life now,” but as I look back on my life at this point, writing and making films about American history and about our relationship to the land and our movement, I look back on that trip now and I see that it planted that seed in me. My Mom wanted to open up the horizons for my sister and me by taking us to these new places and she succeeded. The national parks were a big part of that, their existence was a big part of that because it was a place that we could afford to stay in. These magnificent places where we were as welcome as anyone else. I became a big advocate for it. 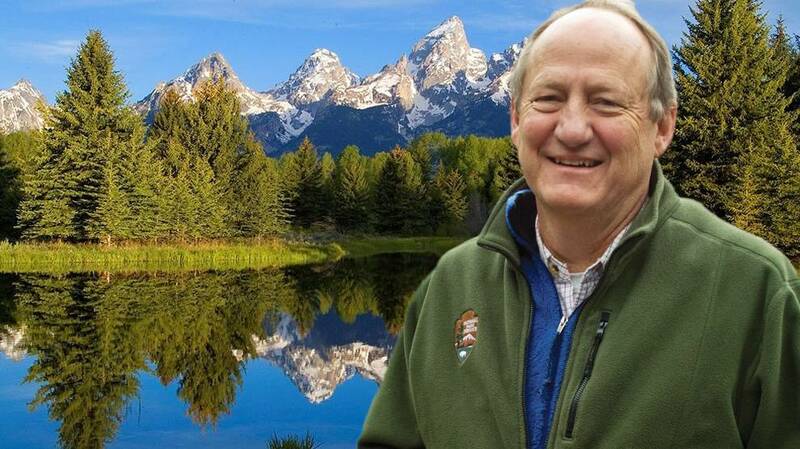 I was gratified to be asked to a part of the Board of the National Parks Foundation, which tries to encourage private philanthropy to raise extra money to help support the parks. You are currently working on a documentary on country music, an art form that has undeniably deep connections to Oklahoma’s historical and cultural identity. Why did you choose country music as a subject and will there be any Sooner State performers in the film? We are interested in topics that help us answer the simple but illusive question: who are we as Americans? The Dust Bowl told the story of the greatest environmental cataclysm in American history. Country music, like Jazz, is a uniquely American art form and has the other advantage of being completely populated by fascinating characters as well as great music. Our focus will be on the 20th century, when the music finally started not just being performed on people’s porches or in churches and train yards, but started being recorded and broadcast over radio… and spreading. We take in into the 1990s. The people who made that music for everyday people are completely fascinating. Wanda Jackson, Roy Clark, Gene Shepard, Vince Gill, Reba McIntyre, Garth Brooks, Jim Halsey, Roger Miller, Gene Autry, Bob Wills… Oklahoma will be very well represented in our film. There have been so many people born in or raised in or associated with Oklahoma who have had a profound impact on country music. And now, since it is silly season, we must ask a question regarding presidential politics. You had an impressive early career in politics, specifically as a press secretary for two different Presidential campaigns during the 1980s. How do you think working on the Presidential trail has changed since your tenure? I don’t know how impressive my resume is… both of the candidates I worked for lost. When I was on the campaign trail, there was no 24/7 cable news coverage of politics – that’s a big change. There were three networks, each of which would give five minutes twice at day to the campaign. There were no cell phones, so communicating with other people on the campaign was difficult. You planned your day around the news cycle to hit the evening news and tried to avoid gaffes. Now, particularly in this election, the boundaries have been dramatically expanded, in the wrong direction, about what people running for the highest office in the land, can say. There’s been a coarsening, as well, of the dialogue, I’m sad to say. But the main thing is the unrelenting pace of the campaign and the coverage.